You are here: Home > T-Mobile “See BlackBerry Different” Event Reveals PlayBook & Other Devices Coming This Year? For some of you this will come as a breath of fresh air, the rest of you won’t care. Either way, it turns out that T-Mobile was holding a “See Blackberry Different” event for its employees not too long ago. At this super special event they detailed some upcoming Blackberry devices that will surely makes RIMs presence known on T-Mobile. 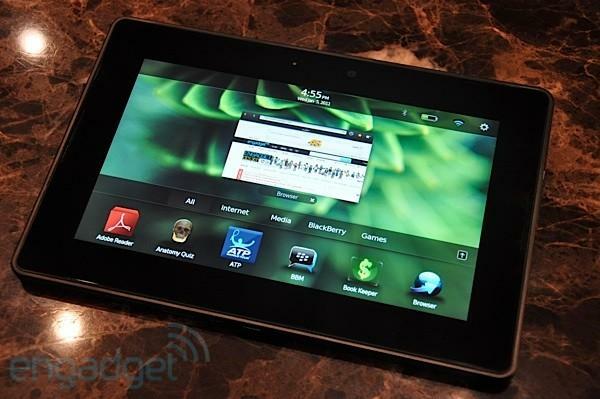 First, there were talks of a wifi only Blackberry Playbook, because tablets are the future don’t you know? 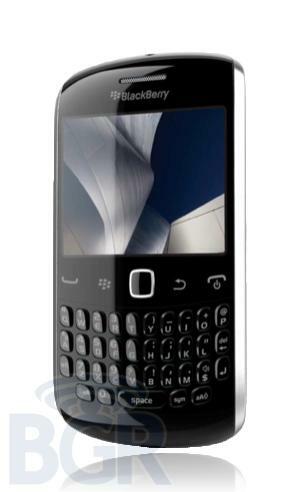 Second, they detailed the Blackberry Storm 3, the next generation of the all touch, all the time Storm line. Next, the real star of the show in my opinion, is the Blackberry Dakota, with a full Bold style keyboard and a smaller touchscreen above that. Lastly, a new Curve, but you should have expected that one. BGR had a leakfest of some of these devices earlier this year, so continue on for alleged pictures and specs! ← T-Mobile Pushing FlexPay Conversion To Postpaid, Proof FlexPay Is Going Away? If you call them, they will tell you we are getting this device. Its great to know, that TMo has really stepped it up. Good Job…TABLET WARS!!!!!!!!!!!!!! I really REALLY like the Playbook. It’s ridiculously smooth, even in the browser with flash content loading. I hope we get a HSPA+ version of it. I was at this event. RIM is doing some big things this year with T-mobile! Blackberry’s Future is incredibly bright! I’m not sure who needs these more T-Mobile or RIM. Either way they would definitely be a good addition to T-Mobiles lineup. I hope we get first dibs on the Playbook. Only Sprint’s Playbook is officially confirmed, so I expect they’ll get it first. But better late than never. No actually the WiFi version will be available from many carriers and “regular” retail stores like OfficeMax. If you are talking which carrier will have a 3G/4G on board the device then you may be right with it going to Sprint first…. Good to know. I stopped following BB news when I stopped using a BB. Last I’d heard, RIM was only advertising a Sprint Playbook. A WiFi version would be nice, but I do hope we see a HSPA+ Playbook on Magenta before the fall. My contract is up in a few weeks and I’m ready to upgrade. I’ve been looking forward to these releases but there is no mention of HSPA+ on the phones, and no microSD on the Dakota. I would be shocked if the Dakota released without an expandable memory slot. I’m sure it’ll have one. HSPA+ would be nice; if these drop with the same 3.6 Mbps max data speeds as their predecessors, while everyone else is dropping 21 and 42 Mbps devices on us, it might just be a deal-killer. I have a deadline in two hours on a magazine article being published in March. The topic is phones and tablets after Mobile World Congress. I logged on to here to see if there was anything I need to add. Woot! This BlackBerry article is fantastic. It provided some info I can use where I mention RIM. Never had a blackberry but even though I’m a big android fan, I gotta say this will be a good look BB and so far I really like what I see and hear :) sounds like they ain’t playing this year ! If all this turns out to be true, I will track down and find a T-Mo exec and a RIM exec and give them big, sloppy kisses. *Waits for customers to come in here to find something to complain about when T-Mobile is trying it’s best to cover ever facet of their consumer base* Anyway… Great job T-Mobile! I like the Blackberry Dakota (it has a FFC), the Storm 3 is nice too. Is there any official information on what speeds HSPA chip is going to be in it? I only see Tri-band UMTS/HSPA 7.2 listed on 1 of the 3 and the other two dont list it. I love my Vibrant and all, but that Dakota looks MIGHTY tempting. Too bad the roadmap showed it pretty far on down the line in 2011. Before I loved crackberry but ever since I used android and ios I don’t know if I can go back to crackberry lol. We can haz the 9100 too? Finally some bb news for tmobile. I been wanting the dakota like bb for so long. But seeing the the storm 3 may be coming our way I may have to give it a look, can’t wait to see the real deal in the wild. Thanks david please keep up with news one these phones. Just converted to a G2 after over a decade with BB. BB still has the best keyboard. The G2 is the best HTC that I have seen. However, you are correct about apps. Do not worry about HSPA+ it will be years before we see those kind of speeds. There was an article on DSL reports objectively measuring speeds. Magenta won. That is if you consider 3 Down winning. The G2 is heavy but the closest thing I have seen in the “feels solid” department. I am still learning android….. Would appreciate any mods that the folks have done to up speed and battery life. Put the settings widget on your front page & switch brightness to the 2nd lowest setting. Normally I get 15-24 hours out of my phone, depending on usage. Also, set one of your quick keys to the Applications option under settings. That should make it easy to check which apps are running & force close the huge ones. That also helped to speed up the phone by loads. If necessary, you can also cut off 3G, but I don’t think you’ll need to do that often. I’m a current Blackberry user (in fact, on my third BB Curve), but I think RIM is inevitably going to lose out to Apple and Android. The problem is they think new/better hardware is the answer. But it’s not. They already have great hardware (I love the qwerty on a BB and think nothing quite compares to it), but where they are sinking is the SOFTWARE. Right now, everyone and their dog is making apps for iPhone and Android. Banks, online stores, music services, utilities, games, even home stereo toys like Sonos and Pioneer already have an iPhone app, and most have added an Android version. Blackberry? Notsomuch. I’m about to jump ship to Android because of this. And I’m gonna miss that Blackberry keyboard. But it’s the *apps* we covet, not the hardware. And unless RIM can somehow coax the whole market place to start making Blackberry apps that compete with the iPhone/Android ones, they are sorta doomed. Not everyone needs a hundred thousand apps that do cool, random, useless little things. The only things I would miss about Android if I went back to my ‘Berry are Kindle and Google Reader and my internet radio player. Last I checked, BB still didn’t have a worthwhile free RSS reader or podcast player. RIM doesn’t need an app market the size of the iTunes store or the Android market to compete, but they do need certain key apps that they’ve been missing. OS 6 was kind of a step in the right direction, but it was too little, too late to keep me from switching to Android. Plus I was mad that they gave the Torch exclusive to AT&T. You want to play exclusivity games, RIM? Fine, I just won’t use your products. The OS 6 on BB has an RSS reader and Podcast player built in. These devices will have 6.1 loaded on them which is another significant step but the playbook has QNX which blows android and apple out of the water, in my opinion. QNX will most likely not make it to phones until next year but 6.1 looks better than what android is offering right now to me at least. The RSS reader and podcast player in OS 6 are limited and don’t allow you to upload your own feeds. Or at least that was the case a few months ago when I loaded a leaked OS 6 onto my 9700 and 9300 a few months ago. BlackBerry has had a Kindle Reader for well over a year? Don’t cut off your nose to spite your face mate, don’t buy in anger. You will regret it when your Android or Apple phone craps out like my Craptivate did. Yeah, I upgraded to an Android, and I’m missing my ‘Berry already. My Defy is good, and I don’t think I’d prefer another Android. But what a ‘Berry does well, it does really, really well. And I miss that. I don’t regret my purchase, exactly, but I get the feeling I’ll be back on a ‘Berry soon enough. I thought T Mobile wasn’t getting the 2X rather AT&T? Where did you see/hear that T-Mobile wasn’t getting the optimus 2X? If i’m mistaken, which I might, but the lg optimus line is only on T-Mobile. I would assume that we would be the ones to get it not just by everyone stating that we would but lg showing us love with the slate. Why would they give us the tablet in 3d and not give us the optimus 2x. Don’t forget there is also an optimus 3d coming out as well, not that I care about the 3d fad. Its very frustrating though, the more research I do the more confused I get. Some say its coming magentas way and others say LG has yet to set a release date for the states. My contract is up and I’m growing impatient and I don’t want to settle for just any phone. I’ve been with BB for some time and looking for a different phone just to change it up. I want this phone but I’m growing more frustrated every day because it seems that there is no life in the optimus 2x anymore. There are tons of “hands-on” reviews but no actual release date or just who’s getting it. Maybe I should just stick with my bold and get the Dakota when it comes out. I am current using a mytouch 4g and while it is a nice phone, I miss things that my BB has. 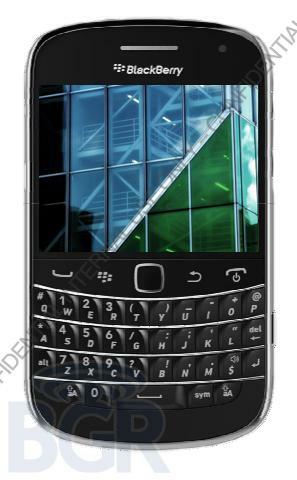 (Bold 9700). I would love to go back to my BB but Tmo said that if I were to change back to my BB, it would cost me an extra $10/month. So I didn’t do it. I’m waiting on the Playbook to see what it is like. BB OS is functional. But the Playbook runs QNX. they all look like the old blackberries nothing new here no 4G???? Why do you want something for which the infrastructure doesn’t even exist yet? It’s like if Thomas Edison gave out lightbulbs somehow before he harnessed DC electricity. Nkola Tesla and AC! All the way!!! The rest…eeeeh…nothing exciting!! Wish they’d change the design a little bit. Design/form factor was new and cool back in the day; not so much anymore. 4G is so overrated. something the companies are telling you to get your money. I have a 9780 on t-mobile network and i LOVE it. 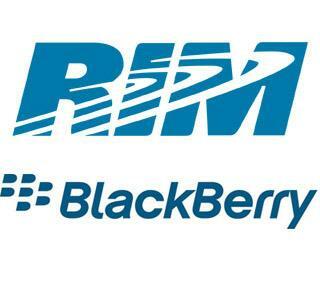 i will keep this until RIM announces there blackberry phones with the QNX os on them. as someone who has had all the major kinds of phones Android, Windows, blackberry, and apple…. the blackberry OS works the best for ME. Finally a BB with 1ghz processor! T-Mobile needs the Bold Touch, that’s all I care about. Knowing them though, they’ll do no market research and get the Storm 3….